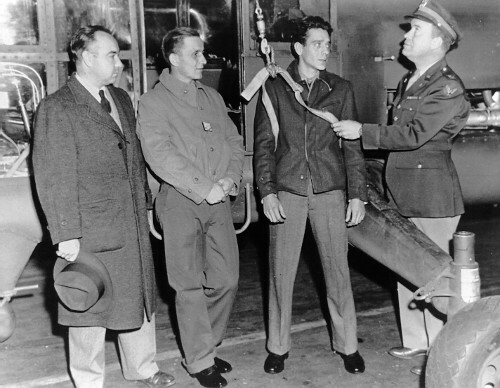 April 6, 1949: Lieutenant Stewart Ross Graham, United States Coast Guard, and his crewman, Aviation Metalsmith 2nd Class (AM2) Robert McAuliffe, completed the longest unescorted helicopter flight on record. They flew a Sikorsky HO3S-1G, serial number 51-234, from the Coast Guard Air Station, Elizabeth, New Jersey, to Coast Guard Air Station Port Angeles, Washington, via San Diego, California, covering a distance of 3,750 miles (6,035 kilometers) in 57.6 flight hours over 11 days. 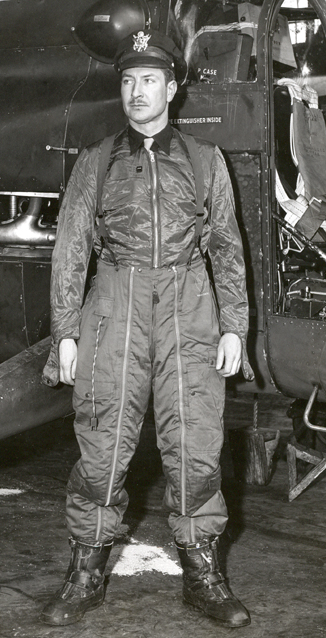 Lieutenant Graham was the first pilot to fly a helicopter from a ship. 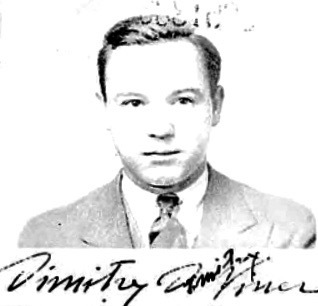 On 16 January 1944, he flew a Sikorsky YR-4B, serial number 46445, from the deck of a British freighter, SS Daghestan, while in convoy from New York to Liverpool. After 30 minutes, he returned to the freighter. 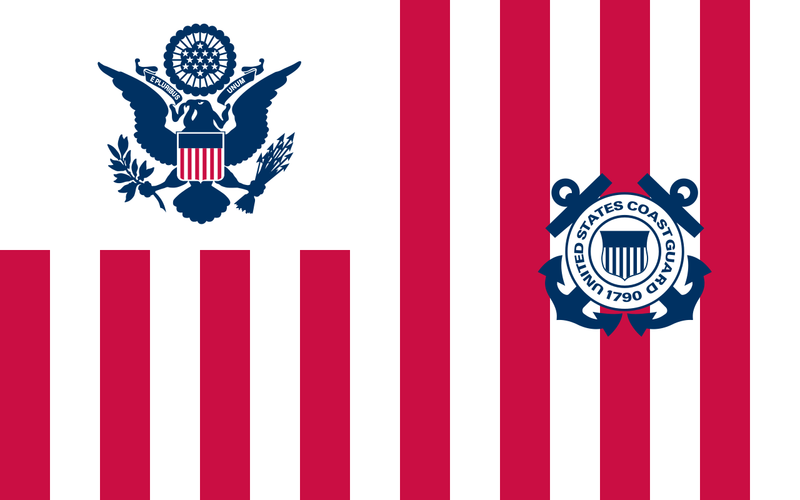 He was a pioneer in the use of the helicopter by the Coast Guard and the Navy. 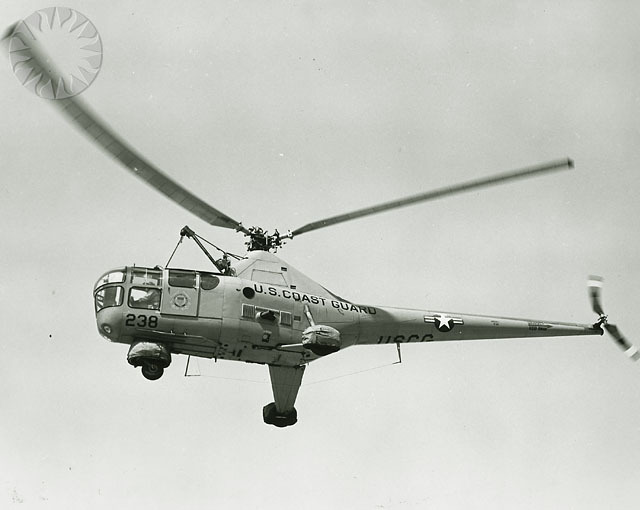 The HO3S (Sikorsky S-51) was a second-generation helicopter, capable of carrying a pilot and up to three passengers. The cabin was built of aluminum with Plexiglas windows. The fuselage was built of plastic-impregnated plywood, and the tail boom was wood monocoque construction. The main rotor consisted of three fully-articulated blades built of metal spars and plywood ribs and covered with two layers of fabric. (All metal blades soon became available.) 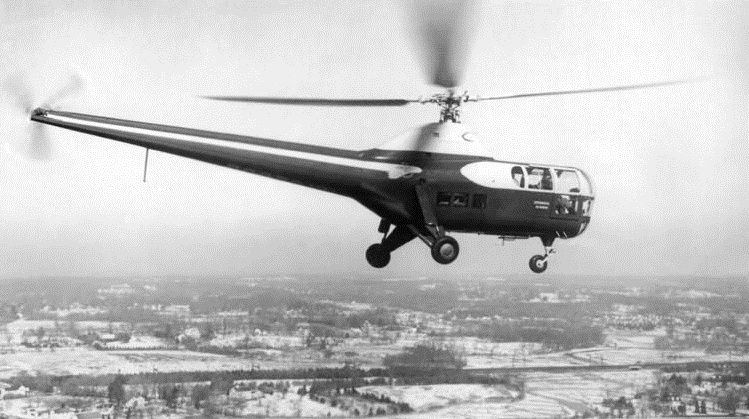 The three bladed semi-articulated tail rotor was built of laminated wood. The main rotor turned counter-clockwise, as seen from above. (The advancing blade is on the helicopter’s right.) The tail rotor was mounted on the helicopter’s left side in a pusher configuration. It turned clockwise as seen from the helicopter’s left. The helicopter’s fuselage was 41 feet, 7.5 inches (12.687 meters). 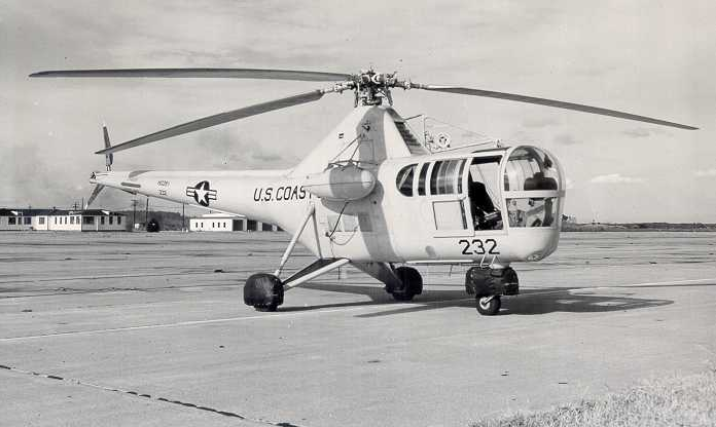 The main rotor had a diameter of 48 feet (14.630 meters) and tail rotor diameter was 8 feet, 5 inches (2.2.565 meters) giving the helicopter an overall length of 57 feet, 1 inch (17.399 meters). It was 13 feet, 1.5 inches (4.001 meters) high. The landing gear tread was 12 feet (3.7 meters). The S-51 had an empty weight of 4,050 pounds (1,837.05 kilograms) and maximum takeoff weight of 5,500 pounds (2,494.76 kilograms). Fuel capacity was 100 gallons (378.5 liters). 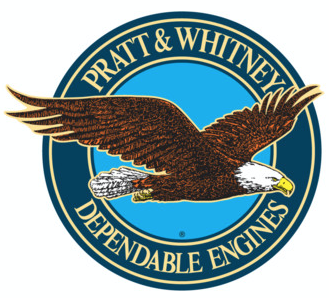 The helicopter was powered by an air-cooled, supercharged, 986.749-cubic-inch-displacement (16.170 liter) Pratt & Whitney R-985 AN-5 (Wasp Jr. T1B4) direct-drive, nine-cylinder radial engine which was placed vertically in the fuselage behind the crew compartment. This engine had a compression ratio of 6:1 and was rated at 450 horsepower at 2,300 r.p.m., Standard Day at Sea Level. The R-985 AN-5 was 48.00 inches (1.219 meters) long, 46.25 inches (1.175 meters) in diameter and weighed 684 pounds (310.3 kilograms) with a magnesium crankcase. The S-51 had a maximum speed (Vne) of 107 knots (123.1 miles per hour/198.2 kilometers per hour). Range was 275 miles (442.6 kilometers). The service ceiling was 14,800 feet (4,511 meters). The absolute hover ceiling was 3,000 feet (914.4 meters). 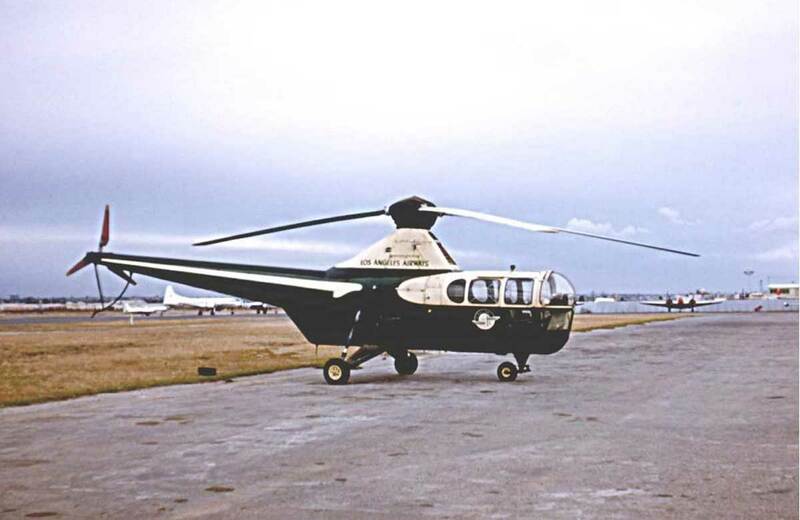 Sikorsky built 220 helicopter of the S-51 series. 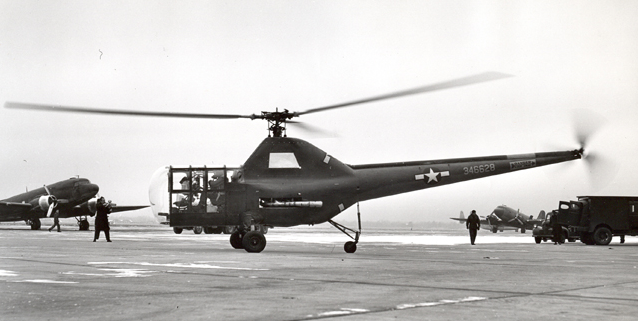 The S-51 was a commercial version of the Sikorsky R-5 series military helicopters. It was a four-place, single engine helicopter, operated by one pilot. The cabin was built of aluminum with Plexiglas windows. The fuselage was built of plastic-impregnated plywood, and the tail boom was wood monocoque construction. The helicopter’s fuselage was 41 feet, 1¾ inches (12.541 meters). 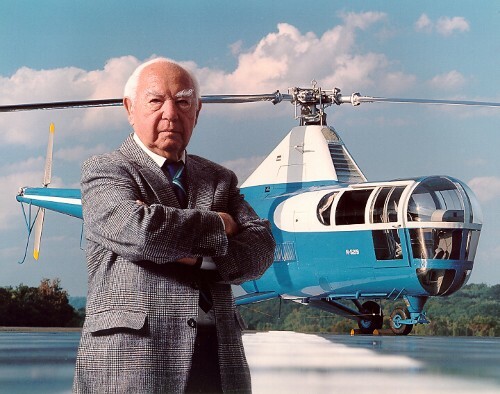 The main rotor had a diameter of 48 feet, 0 inches (14.630 meters) and tail rotor diameter was 8 feet, 5 inches (2.568 meters) giving the helicopter an overall length of 57 feet, ½ inch (17.386 meters). It was 12 feet, 11-3/8 inches (3.947 meters) high. The landing gear tread was 12 feet, 0 inches (3.658 meters). 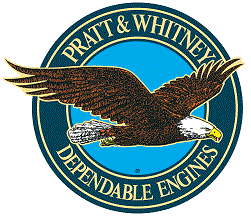 The helicopter was powered by a 986.749-cubic-inch-displacement (16.170 liter) air-cooled, supercharged, Pratt & Whitney Wasp Jr. T1B4 (R-985 AN-5) direct-drive, nine-cylinder radial engine which was placed vertically in the fuselage behind the crew compartment. This engine had a compression ratio of 6:1 and was rated at 450 horsepower at 2,300 r.p.m., Standard Day at Sea Level. The R-985 AN-5 was 48.00 inches (1.219 meters) long, 46.25 inches (1.175 meters) in diameter and weighed 684 pounds (310.3 kilograms) with a magnesium crankcase. 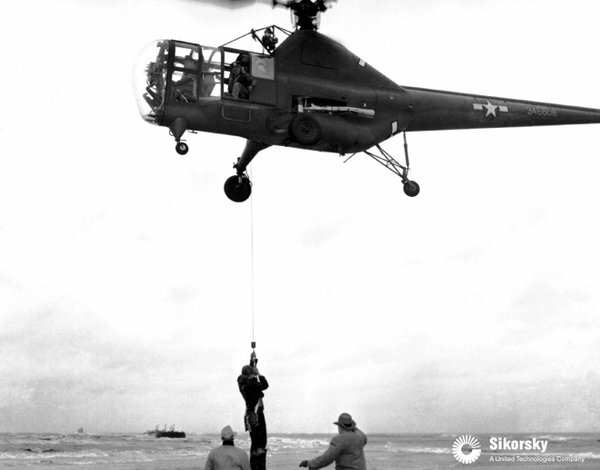 Of 220 helicopters in the S-51 series built by Sikorsky, 55 were commercial models. Westland built another 159 helicopters under license. 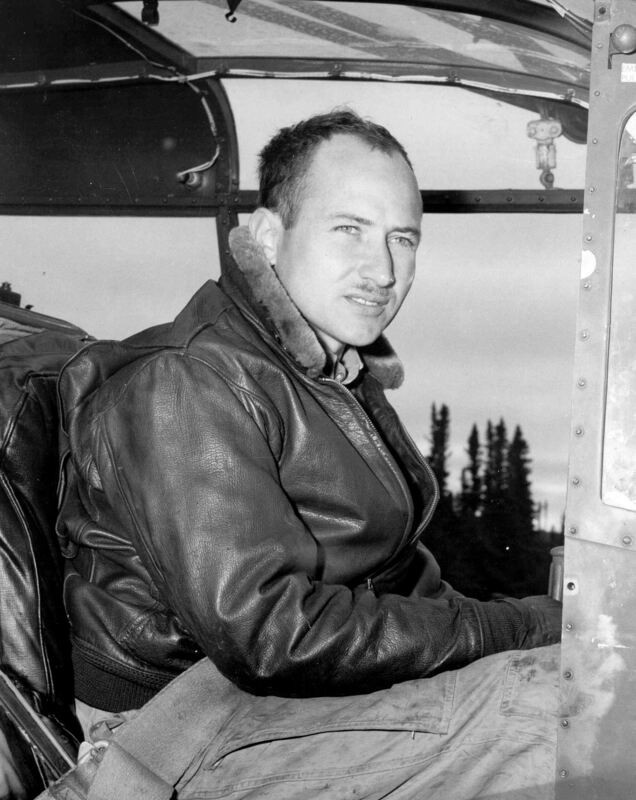 In 1947, Viner became the first pilot to log more than 1,000 flight hours in helicopters. 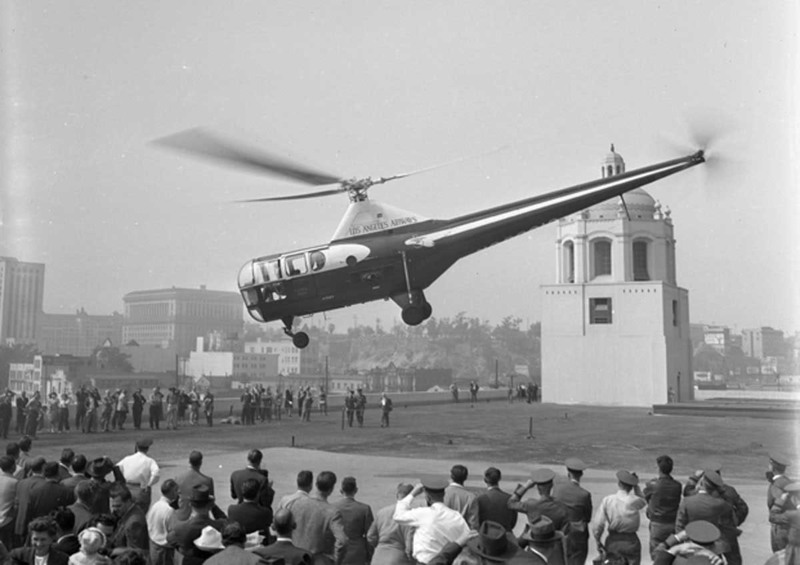 1 October 1947: Los Angeles Airways began regularly scheduled air mail service in Los Angeles, using the Sikorsky S-51 helicopter. “. . . the U.S. Civil Aeronautics Board awarded LAA the route authorities to operate local air mail services in Southern California using the Sikorsky S-51. Before long, LAA was operating a twice-a-day mail service between the main downtown post office and Los Angeles International Airport along with a small package air express service. “With a fleet of five S-51s, LAA’s first year of operations resulted in 700 tons of mail being carried with approximately 40,000 landings throughout the Los Angeles metropolitan area. The small operation maintained a 95% reliability rate and by the time it began its small package air express service in 1953, it was annually moving nearly 4,000 tons of mail a year. The S-51 was a commercial version of the Sikorsky R-5 series of military helicopters. It was a four-place, single-engine helicopter, operated by one pilot. The cabin was built of aluminum with Plexiglas windows. The fuselage was built of plastic-impregnated plywood, and the tail boom was wood monocoque construction. The main rotor consisted of three fully-articulated blades built of metal spars and plywood ribs and covered with two layers of fabric. (All metal blades soon became available.) 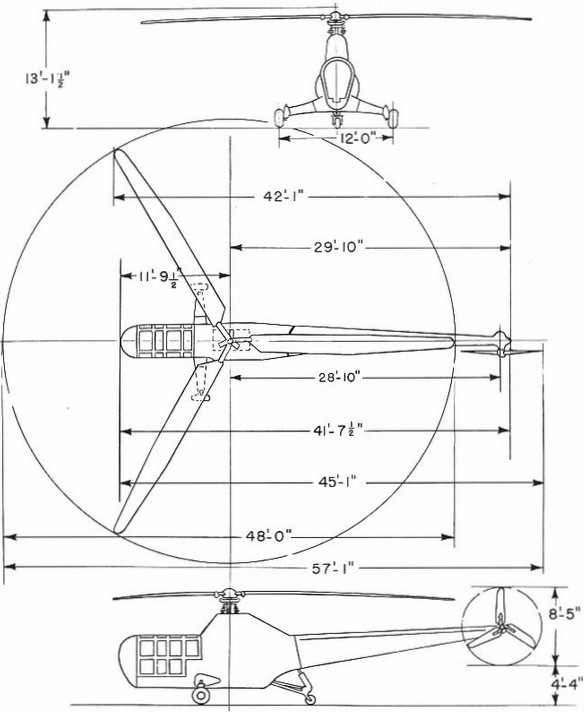 The three bladed semi-articulated tail rotor was built of laminated wood. The main rotor turned counter-clockwise, as seen from above. (The advancing blade is on the helicopter’s right.) 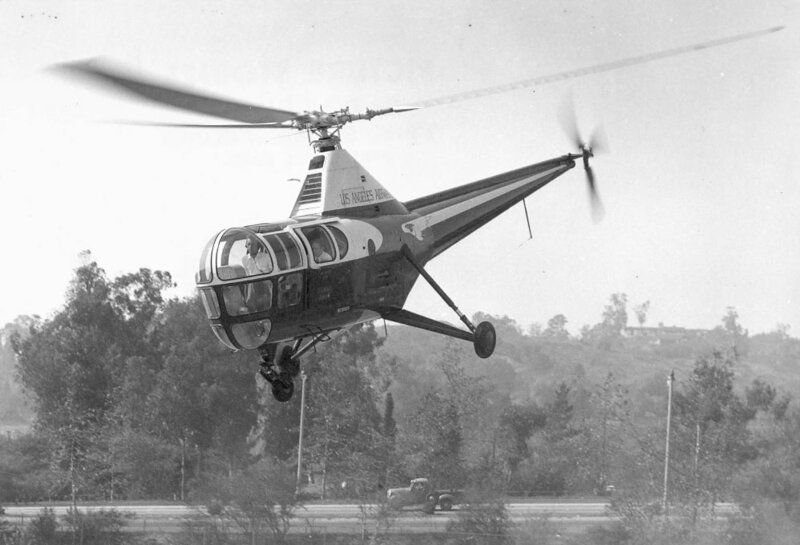 The tail rotor was mounted on the helicopter’s left side in a pusher configuration. It turned clockwise as seen from the helicopter’s left. 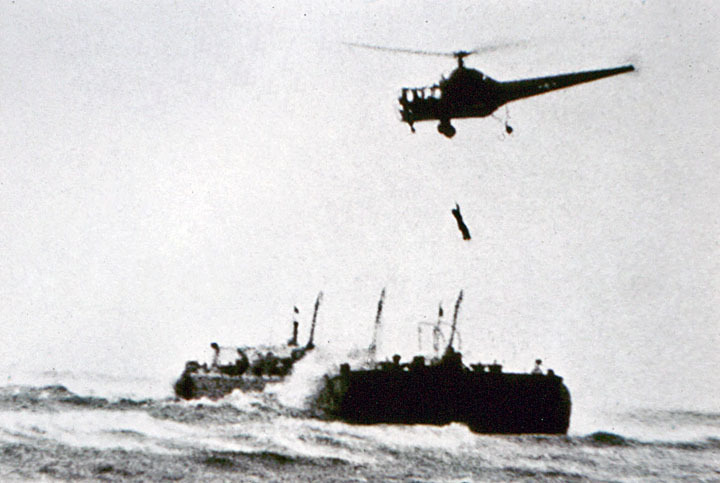 The helicopter’s fuselage was 41 feet, 7.5 inches (12.687 meters) long. 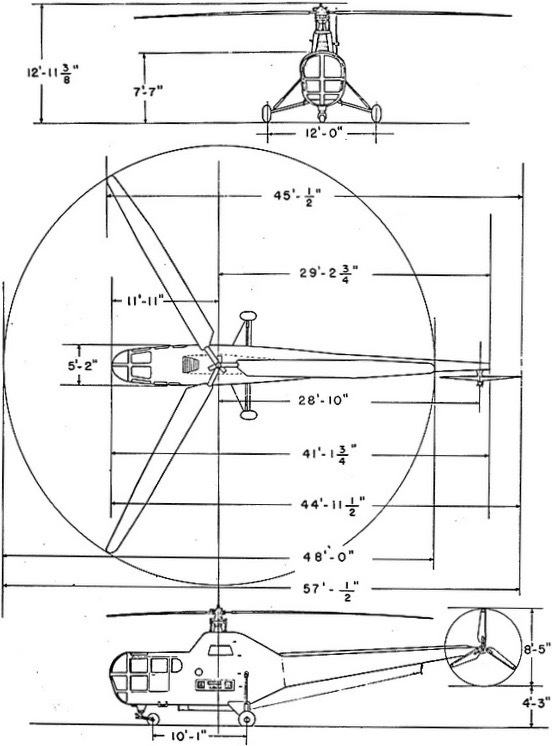 The main rotor had a diameter of 48 feet (14.630 meters) and tail rotor diameter was 8 feet, 5 inches (2.565 meters), giving the helicopter an overall length of 57 feet, 1 inch (17.399 meters). It was 13 feet, 1.5 inches (4.001 meters) high. The landing gear tread was 12 feet (3.7 meters). The S-51 had an empty weight of 4,050 pounds (1,837 kilograms) and maximum takeoff weight of 5,500 pounds (2,495 kilograms). Fuel capacity was 100 gallons (378.5 liters). Of 220 helicopters in the S-51 series built by Sikorsky, 55 were commercial models.